In this post, BPC’s archivist Anne Kumer, shares the history of Bryant Park's Le Carrousel. 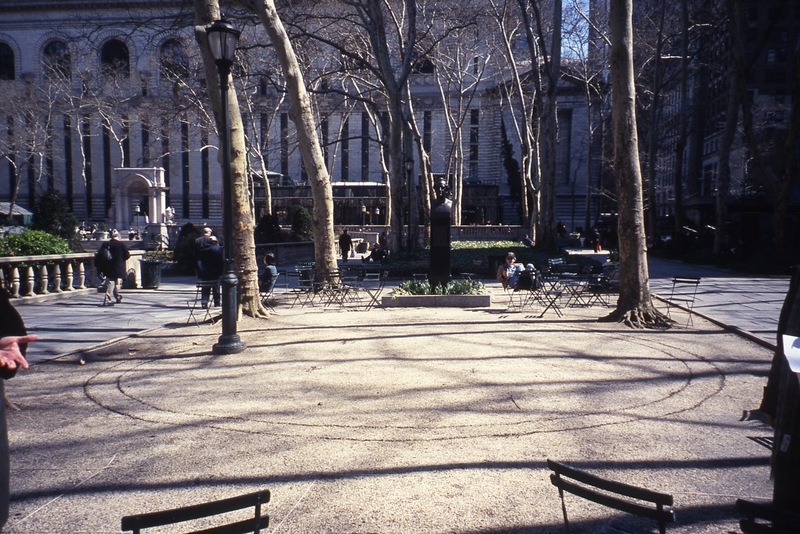 Before the Bryant Park Carousel was installed in June 2002, the 40th street allée next to the Goethe statue was peaceful, but obviously missing something. 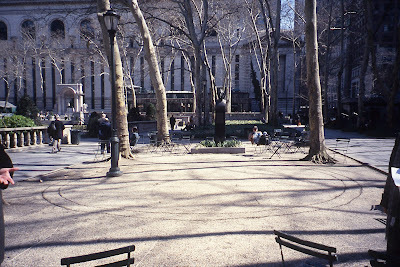 Seeking to enhance the French classical design of the park grounds, create a family friendly atmosphere, and complement the neighboring Beaux Arts façade of the New York Public Library, the Bryant Park Corporation added Le Carrousel to the barren space. 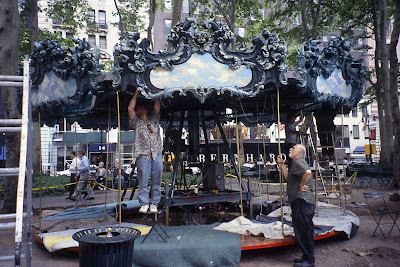 Le Carrousel was designed and manufactured by Marvin Sylvor‘s Fabricon Carousel Company in Brooklyn, and installed in the park in early June 2002. 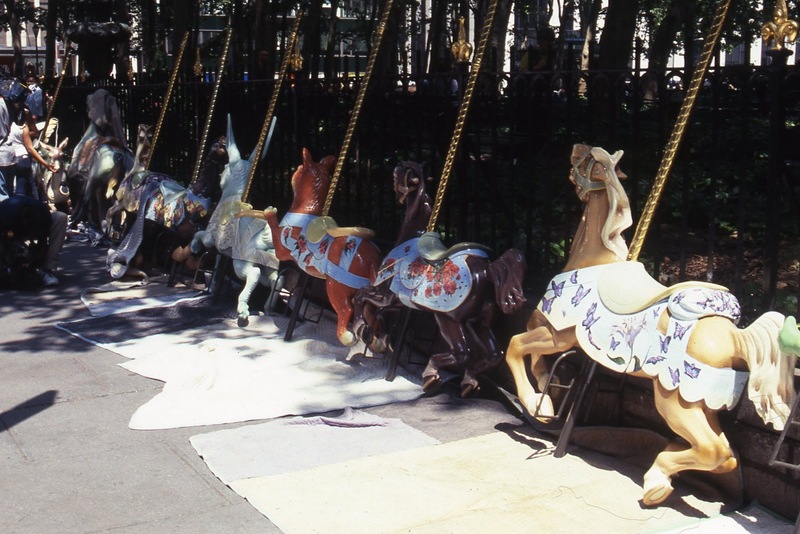 Mr. Sylvor was internationally recognized, and had built carousels all over the world. He passed away in 2008. 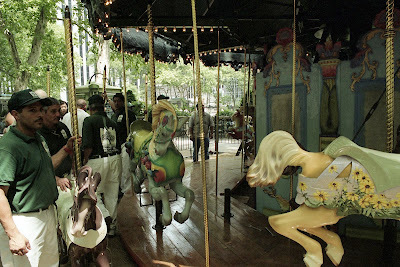 In addition to its colorful menagerie of animals, which include a deer, a rabbit, a cat, and ten horses, Le Carrousel also features a fully restored ticket booth, originally built in 1928 for a carousel in Hull Massachusetts. The Bryant Park carousel measures 22 feet wide, weighs 12,000 pounds, and spins to the sounds of French Cabaret music. 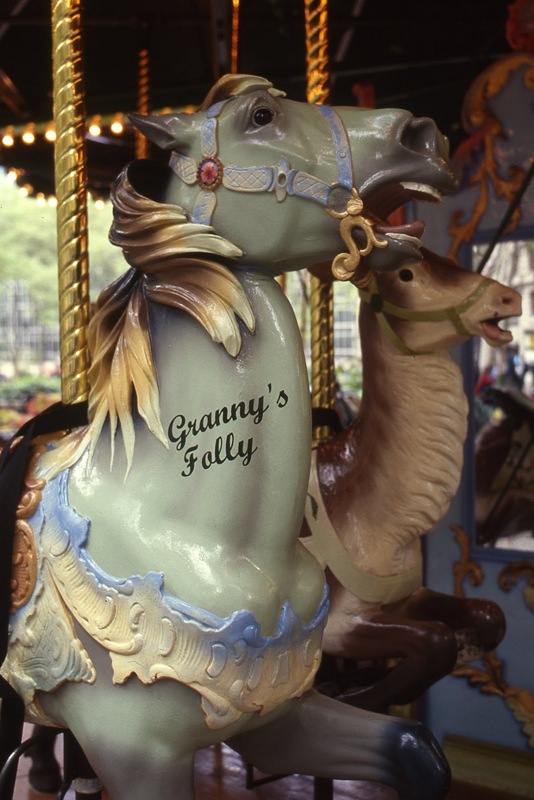 Just a month after the carousel opened, on July 31, 2002, a naming ceremony was held for the lead horse “Granny’s Folly.” The horse was named after a mounted police steed that had served the NYPD since 1984. He was struck by a livery cab on Pelham Parkway in 1992. Named after one of his riders, Sergeant Grannville Waterman, the horse was famed for stepping on a mugger's foot, preventing his escape outside of Madison Square Garden during a Michael Jackson concert. 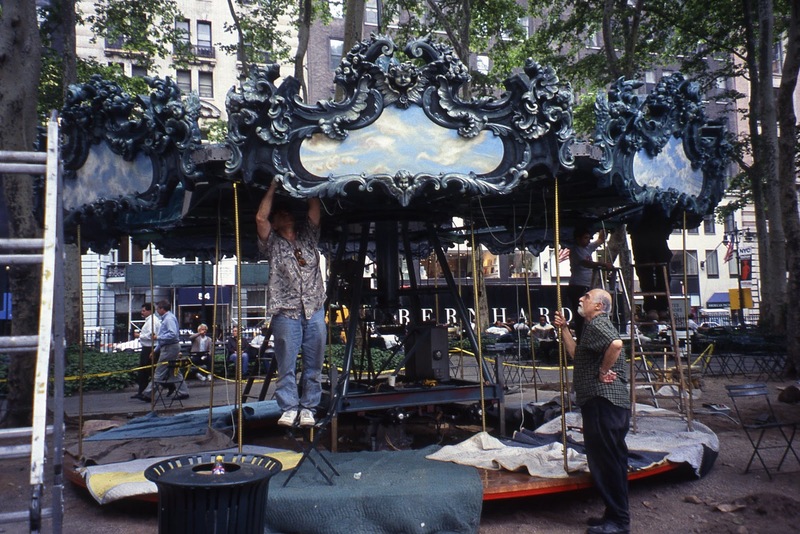 Just last summer, seven years after the carousel opened, it underwent a full restoration by artist Andrew Tedesco. 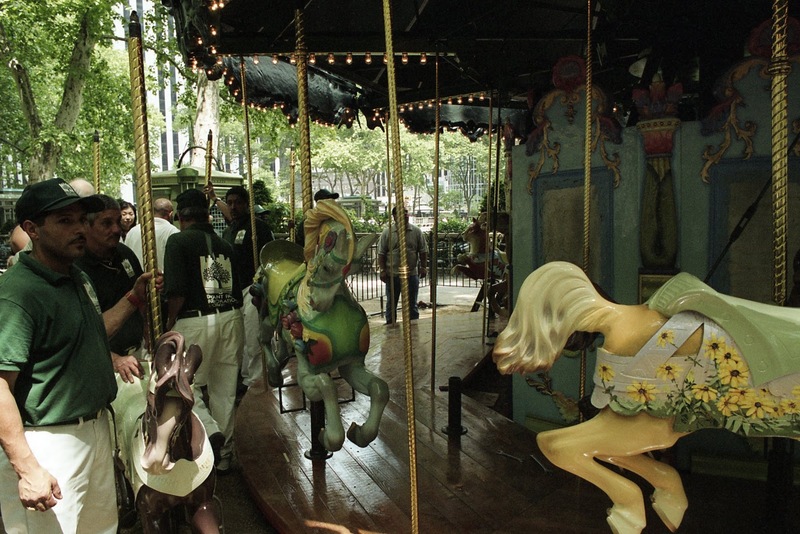 The carousel is open daily, weather permitting, and is available for parties.